The sleepiness ended when we opened up shop for the day's daycare dogs, and we got some great peeks at the action in all three areas. Upstairs, Marlee and Oliver were trying to figure out how to play fetch and share at the same time. Hilarity ensues! In the Medium Pack, Tikvah was running amok with pals Lucy and Phoebe. These girls definitely know how to have a good time. Large pups Max and Red had a "clash of the titans" in the big roll. These boys had a great time together, and were a really well-matched pair. After this rip-roarin' day, we'll have some more cute sleepers tonight I bet! Next Up we've got Pancake and Macey, a pair of adorable medium rollers, also this clip features Lucy with her awesome new, summer ready hair-do! And last, but certainly not least we have a couple of the puppies from our Medium Roll. Yuki, and Sierra play as Max patiently watches from the sidelines, waiting for the perfect moment to pounce! Another great day with friends here at Fort Fido. Remember to check in on days your pup was with us, and maybe you'll see them here on the blog or playing on the television in the lobby. This morning we met a nice gentleman by the name of Dax. 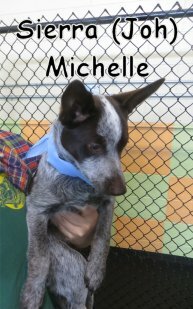 This charming seven-year-old Australian Cattle Dog joined up with the other medium dogs to get the lay of the land here at the Fort. 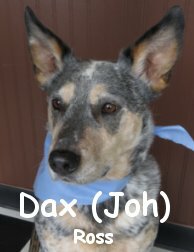 A daycare veteran from Colorado, Dax stayed calm and confident throughout his stay this morning. He wasn't quite ready to bust out all the stops with our other pack members, but he spoke very good "dog" and had a great "Alpha" sort of presence about him. We'll be hanging out with this handsome guy more this weekend. Riley's ma, recently sent me this hilariously cute clip, of Mr. Riley getting very excited about heading to The Fort. We absolutely loved it, and it certainly made our day. Thanks guys! In other news, although it's pretty obvious, getting exercise is extremely important for us humans, and our pets... This snippet I found from King 5 News, sums up the advantages and benefits of "breaking a sweat" with our canine companions. Well, I sure hope this rain will Peter out... If not, and you aren't up for a jog with your pooch, drop on in to Fort Fido. The pack will get your dog "dog tired" and they'll stay dry. Fortunately, this upcoming weekend looks promising. Speaking of weekends, I hope y'all had a nice Memorial Day Weekend, which by the way, just marked our one year anniversary of running 24/7, 365! Woo-hoo! We aren't stopping this operation. We have learned a lot over the past year, and we are running strong. Thank you very much, to all of our wonderful customers, for your support! P.S. Summer is fast approaching, be sure to make those Overnight Boarding reservations asap. Also, be sure to grab your Fort Fido Stickers, we have several left, in two colors, and they look awesome! This morning we had the great pleasure of meeting an adorable, 15 week old, German Shepherd puppy named Kingsley. Kingsley started out over in our medium roll and was a bit timid at first but quickly warmed up to the other dogs and started to play. 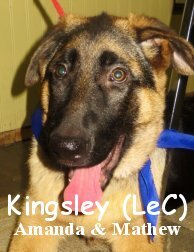 When Kingsley gets a little bit bigger he will graduate over to our big roll and have lots of German Shepherd friends to meet. Here is a clip we got of Kingsley and Stella (Boxer) playing early this morning. Kingsley did exceptionally well for his first day and we look forward to seeing him again. Early this morning we met yet another fun pup-- a sweet cream colored Golden-Retriever mix named Beau. 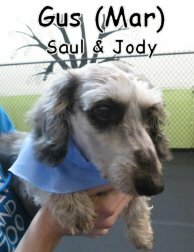 He didn't waste any of his time getting right in to play with the medium dogs, and went right to work putting his charms on with Rudy. They were fast friends, and had a great morning together! 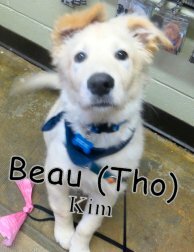 Beau fit right in with our pack and daycare environment, and it should go a long way towards keeping him happy and entertained. Here's to even more fun days in the future! This morning we had the pleasure of adding a sweet old Goldendoodle gal named Emma to our medium pack. Although she is eight years old, Emma is in great shape and had a great time palling around with fellow 'doodle Cody (who is about seven years her junior). These two look like they could have been cousins, even though Cody is an Australian Labradoodle. They were great "peas in a pod" and were caught on camera this morning. This well-rounded pup makes a great addition to our pack, and will continue to get along swimmingly. We've been adding a great bunch of pups this week, and a big thanks to all of you for continuing to spread the word about the Fort! We caught Maggie on tape tearing it up with pups Buddy and Jack. Maggie is an older gal, and it's great to see that she can still keep up with the wild young'uns! Next up is this cute clip of Tikvah and Rudy, who were boarding together for a few days. These ladies are just the best of friends, and really enjoy each other's company. Lastly, we got a hilarious look at Jackson chasing the herding ball. Sometimes it is really surprising which dogs will take to the herding ball, I didn't expect this little Frenchie to get so worked up by it! He didn't even notice Yuki trying to play with him, lol. We'll see you back with more news and clips on our next blog post! This morning we had the pleasure of assessing Holly. 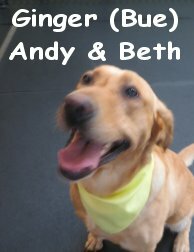 She is a nine year old, sixty-five pound, Yellow Labrador Retriever. Holly stayed with us in our Medium Roll, and did well. She is a dog park Veteran, well versed in "Dog Speak", and highly socialized. Holly was quite an asset to us today, due to her "mothering energy", she can handle any dog that comes her way... And she is especially good with young pups, of which, we have several in the Medium Play Area right now. One neat fact, is that Holly's owners are the heads of the wonderful organization that is SUNDogs, in University Place. 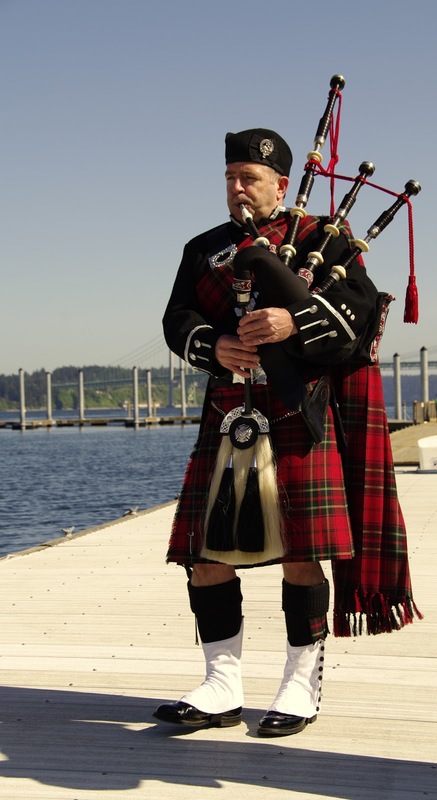 They are responsible for getting the city's lovely Dog Park on the Chambers Bay Properties. 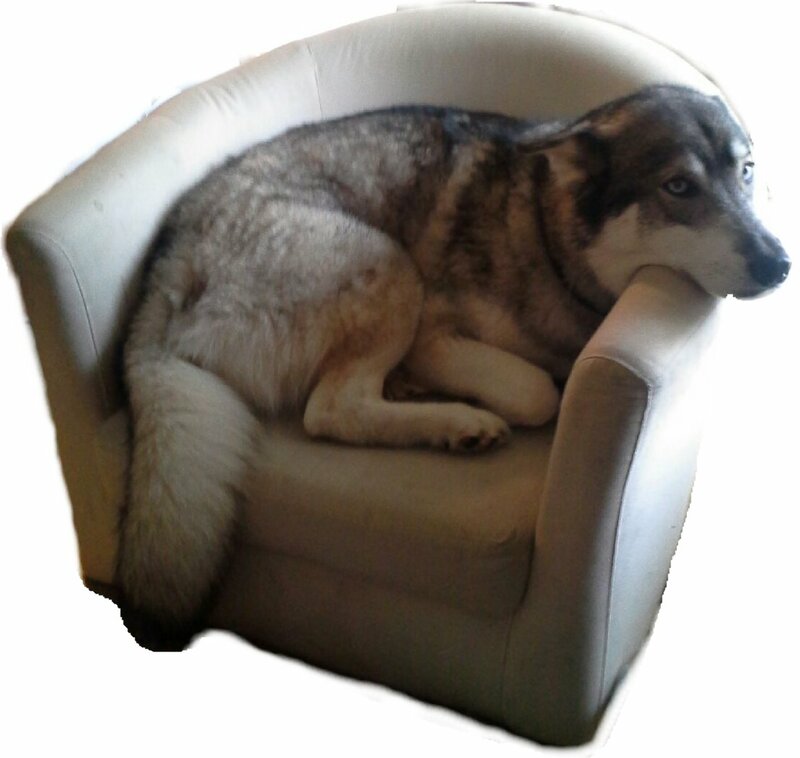 We have worked a bit with the SUNDogs group over the years, and truly appreciate what they do for the canine community. 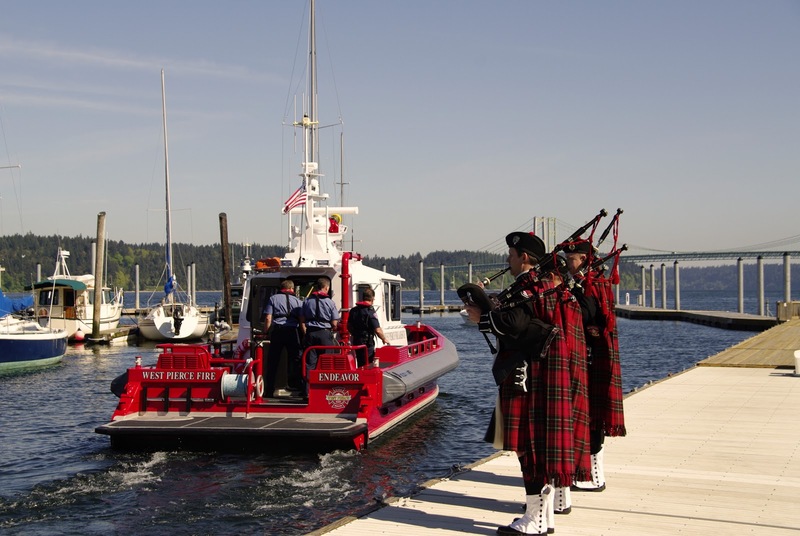 Our hats are off to them and their efforts! My dog Gibson loves running around down there at the off leash park, thank you! 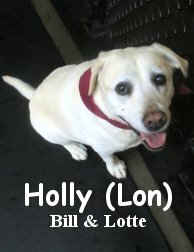 Way to go today Holly, you are welcome at Fort Fido anytime! We look forward to seeing you for Overnight Boarding this summer. This Monday morning we welcomed Sierra, an Australian Cattle Dog, She was very excited to get to play with the other daycare dogs, especially with Dakota dutifully watching over her. After getting warmed up to the energy levels here at The Fort, she opened right up and started her first play day with Avi the Corgi. Today at The Fort we had a gorgeous seven year old wire haired dachshund, Gus, come for his assessment. He has a great attitude and was really excited to meet new pup buddies! He didn't seem too interested in getting any playtime in, as he was too busy inspecting the other medium rollers and finding his place. Faramir, long time Fort Fido friend, and great ambassador, helped Gus feel at home when other friends started to arrive and as things started to liven up around The Fort. 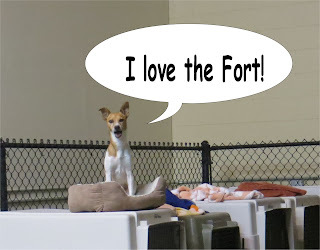 After seeing his reaction to The Fort this morning, I bet that once Gus is accustomed to daycare and has positive experiences to associate with it, that he will have even more fun playing with his new friends! See you later this week, Gus!! Koji loves to be King of the Castle! 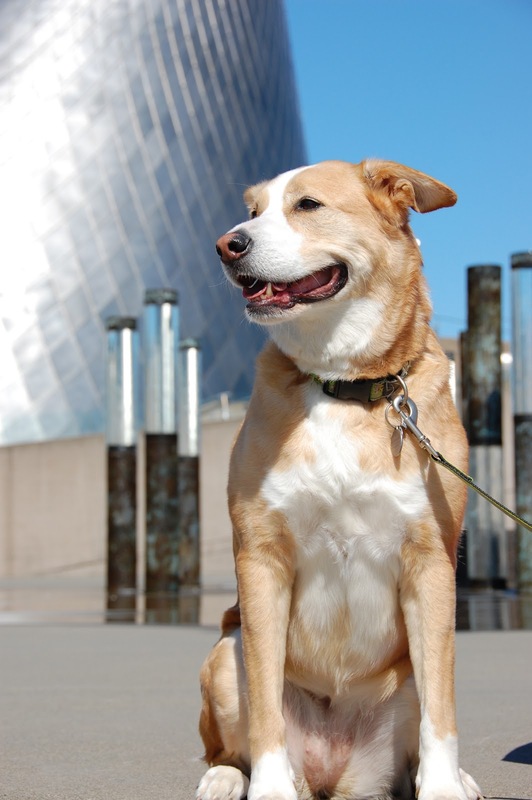 We got some really great clips of our dogs in action today, in every size! In the little roll, ball time was the main attraction, and all the ladies up there were having a really great time. Frizzy dominated, as usual, though Marlee was close behind her trying to edge in on the game. Dixie and Oreo mostly enjoy chasing the other dogs, which ball time is a great opportunity for! In the medium roll, Avi and Jackson were back at it again-- these two just can't keep away from each other. Size definitely doesn't matter to these two, they play just fine despite their differences. We could all learn a thing or two from that! Hope that you enjoyed the look inside! Today we welcomed Ginger, a two and a half year old Lab Mix. She came to see us because of the expert advice of her buddy, Sophie Alice. Ginger is a very sweet tempered, and curious pup. She had lots of new scents to check out, not only in the lobby but back with the pack as well. Not quick to jump into play, but very nice and spoke great dog! I'm sure that once Ginger becomes accustomed to the environment here at The Fort she will start to open up and play more with the other Big Rollers. Ginger was lucky to have found and been found by such amazing owners, at the humane society approx. 6 1/2 months ago. We're happy to have her and looking forward to seeing her again soon! Baer knows how to chill out! Theodore likes to curl up as small as he can manage! We caught a few little clips of Jack and Hazel tearing it up, so I compiled them into a longer one-- this spunky girl really struck Jack's fancy and he was all over her! Have a great night, and we'll see you bright and early back here tomorrow! I always look forward to her awesome photography. I enjoy all of the colors, and positive energy, that she captures in her shots. Here we have a few pics of Miss Dakota Downtown, and a few sharp looking Pipers from the Pierce County FireFighters Pipes and Drums. Click to enlarge. Thanks Michelle, take it easy y'all! P.S. Could anyone figure out why I liked this photo set sooo much? LOL! BAGPIPES! ;) Also, as always, if you have any pictures of your pets, please send them to us! grant@fortfido.com We love seeing what our Fido Buddies are up to outside The Fort, and we love posting the pics up on The Blog. There was lots of energy over in the medium roll this morning and we were lucky enough to get a few minutes of it on video. This first video is Marlee (Cocker Spaniel), Sammy (Puggle), and Louis (Boston Terrier-Pug mix), all having fun early this morning before it got too busy. 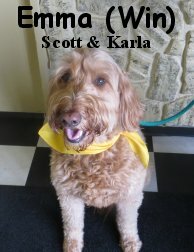 Next is a quick clip of the Jackson the Goldendoodle, and Lucy the Labradoodle. And this final video features all of the dogs in our medium roll but is focused mainly on Cody (Australian Labradoodle) and Pupcake (Australian Shepherd). From their last weekend here together, it's Buckwheat and Rudy! Mac looking dapper in the sunshine! I found a couple of cute pics floating around the computer here and just had to share! We really do have some adorable doggies that come in here! Rudy is a Basset Hound, Buckwheat is a Havanese, Maltese and Pomeranian mix, and Mr. Mac on the bottom there is a French Bulldog (affectionately known as a "Frenchie"). In video, we caught Baer and Japser, to be joined later by wild-man Jack, having a good time neckfighting. These two were great buddies all day long, and really just seemed to "click." P.S.-- Check out this great gallery of photos from the Surf City Surf Dog competition in Huntington Beach, CA. It's always great to see the ways that people incorporate their pets into their hobbies! A new study has confirmed again that owning a dog is linked to reduced risk of heart disease. Us dog-lovers have been aware of the calming impact that our companions can have on out life for some time now, but it is still nice to have some science to back it up! I wouldn't expect doctors to be prescribing pooches anytime soon-- a big part of the benefit of dog-ownership is that you want a dog in your life. Most of the study focused on the need dos have for exercise, and how that is more likely to get a person up and going than a doctor's vague recommendation to "exercise more." 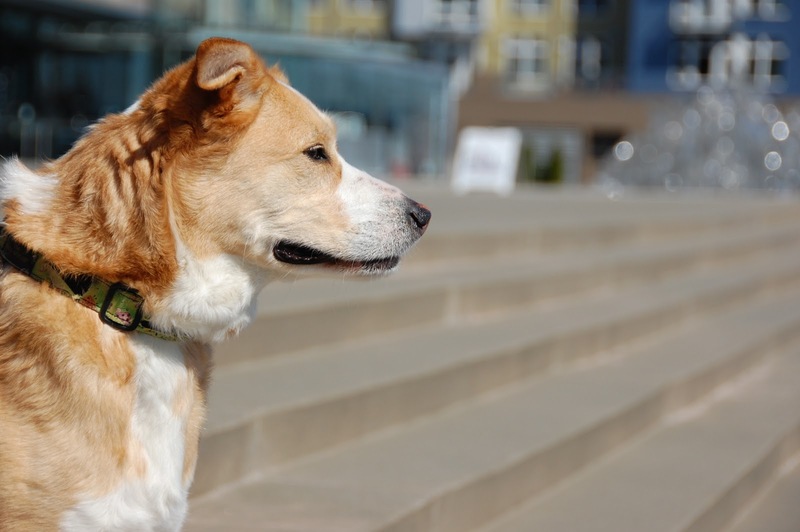 Pets have real concrete needs that have to be met, and it provides you with a clear set of achievable goals. Not dog-related, but I stumbled across this funny YouTube clip. Everybody knows that domestic cats have a fascination with boxes, but did you know that Big Cats like them too? Apparently, "if I fits, I sits" is true across all felines! I love the bow-tie, and I know that Diego is going to be an awesome brother-- I think that he is ready for it! A big congratulations to Carla and Miguel, and of course to Diego. P.S. For those of you that have been wondering, yes I am pregnant as well! I know that can be an awkward question for people to ask (and be asked lol! ), so I figured I should let y'all know. :-) I'll be meeting my little girl in the end of July, so you can expect to see me around a little less as things progress. 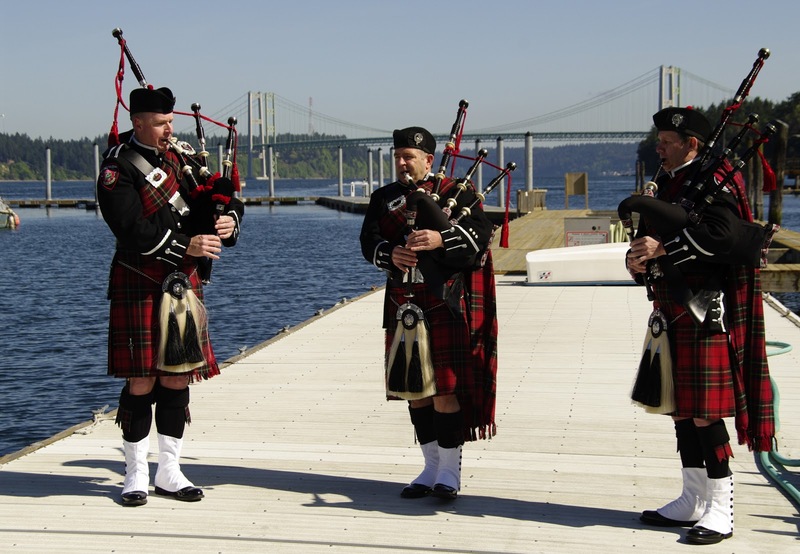 Thanks to all of you for the many great years I've had here at the Fort! My name is Ryan, I've been working at The Fort for about two months now, and I will be posting on the blog from time to time. I am pleased to announce that we have gotten Fort Fido vinyl stickers, and would be more than happy to hand them out to you and your friends! So come on in to receive your FREE stickers! Good for anything! Cars, Windows, Laptops, Even Children! I just got back from an absolutely glorious mini-vacation over the pass... I went to Leavenworth, then Ellensburg, for hiking, camping, swimming, a wedding, and general merry-making lol. It was a wonderful time. However, I couldn't believe the weather I left here, amazing! Glad I wasn't the only one experiencing the sun. Although I didn't really participate in any official Cinco de Mayo activities... Upon my return, I did check out some funny/cute Cinco de Mayo "pet related" clips and pics. My hope is that at least one of these will crack ya a smile, or give you a chuckle. They did me! 9 Pets who are having (had) the best Cinco de Mayo! Real life "Puss in Boots" Hahaha! And last but not least, for no other reason than fun... A newly released dog clip from AFV. Here is an awesome automatic ball launcher a guy invented for his dog Jerry. In this adorable YouTube clip, an 11-week-old Corgi puppy named Scout challenges a silver spoon to a duel. If you remember, we met Miss Rudy last Wednesday, and we've been waiting for her to bust out the moves as she has been staying with us these past few days. Although during the daytime, she is a sweet and mild-mannered girl, once nighttime rolls around she sheds her "Clark Kent" persona and takes on the roll of Superdog! Check out this awesome clip of her and Buckwheat having an after-hours romp. I guess that for this lovely Basset, it's all about the after-party. So glad to see her doing well! 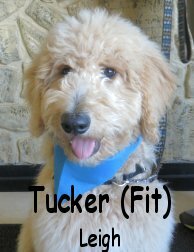 Our Medium Pack got one pup bigger, with the addition of gregarious Goldendoodle pup Tucker. This adorable four-month-old had a great time, and really let his fun personality show while romping with Tikvah in the morning. The nice weather today sure made me feel like romping too! 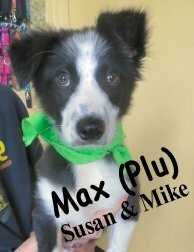 He is definitely a fantastic addition to our pups, and is going to keep having a grand ol' time with us. 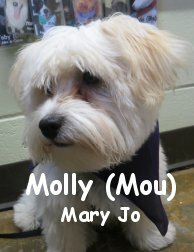 The little ones upstairs had the pleasure of meeting little Havanese Molly. Everybody up there was tearing it up, and this high-spirited little girl just could not resist joining in! When Dixie and Buckwheat were tearing it up in the early morning, Molly just had to get in on the action. Check out this cute clip of her learning the ropes. 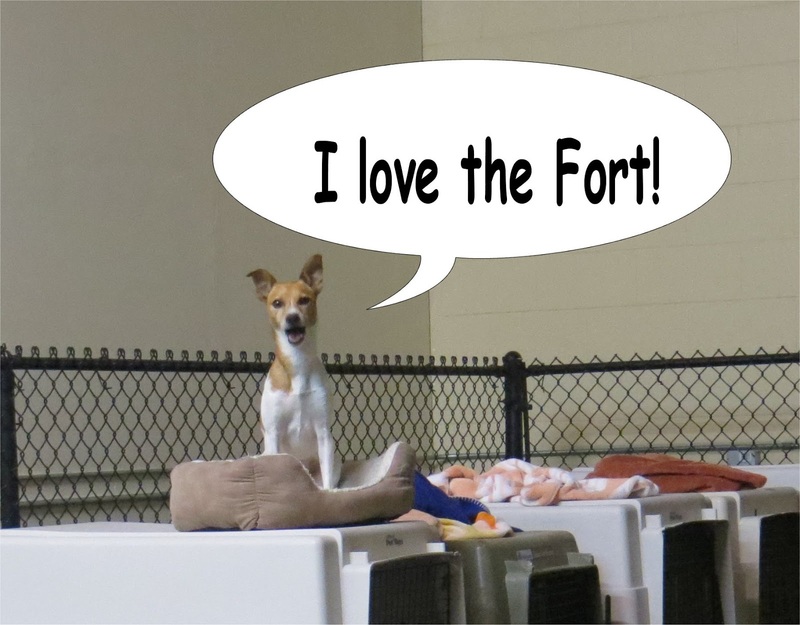 The Fort will certainly benefit from these two great additions--it's so much fun to keep meeting new dogs and to see how they can all benefit from the social interaction at daycare. Now go enjoy that sunshine! Gotta start out with a laugh! We have some great pictures that I've been waiting for an opportunity to share with you guys-- check these out! The Ray of Death Strikes again! We also want to make sure we wish a happy birthday to Grant-- another year older and wiser, and another year dedicated to making sure that Fort Fido stays on top! 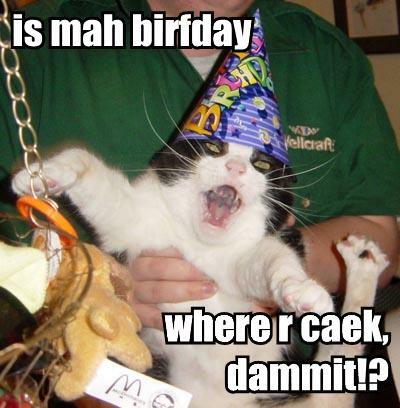 It's great working with you, and I hope that you have an awesome birthday. Enjoy the warm weather, even if the sun hides out a little bit! P.S.-- New copies of the Pet Connection are available in the Fort Fido lobby! These are a cool, local, bi-monthly pet newspaper. If you haven't picked one up, summer is a great time to start. My favorite part is always the calendar, showing cool pet-related events going on in May and June. 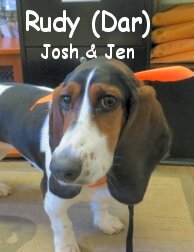 Rudy is an adorable tri-color Basset Hound that came to visit with us this morning. She wasn't too sure of why she was getting up so early this morning, I know that an unexpected early start can put me off sometimes! Although she was somewhat tentative, Rudy spoke good "dog" and was an effective communicator, which is a fundamental building block for being able to play and interact with other pups in the daycare environment. She didn't bust out those moves quite yet, but she has a great foundation, and will hopefully find her feet here in a jiffy. We'll be seeing her soon for some overnight stays!